Starting your own small business can be a large undertaking. If it is your first time being a business owner, you will most likely need some direction. 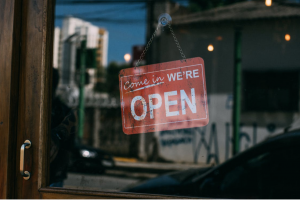 There are several things to keep in mind when you are starting up a local shop. Here are 4 of those considerations to remember in order to be a successful business owner. One of the most important things for starting your own shop is finding the funding to do so. Do you have enough money to fund it? If you don’t, you may have to borrow money. Things like business loans can help you to fund your dream. You may also be able to start a business by raising up money from your social circle and/or community. Save up some of your own funds as well. Planning ahead financially will help the future of your business. One of the most crucial pieces to the puzzle is creating a business plan. When it comes to starting a business, you cannot just throw money and time at an endeavor without having an actual plan. Doing that will most likely lead to failure. A business plan is a detailed, written out agenda about the goals and expectations that you have for your business. For example, what is the point of your business? What kind services is your business going to provide? How do you feel, personally, about the services that you are providing, and why are you providing them? Is there a specific need in your community? Is there a specific service that you feel right giving? What are your monetary goals for the business? How do you plan on making profits with this business, and how much do you expect on making? Who will join your business? With all of the time, effort and patience that you are going to put into your business, you better have a pretty clear vision about what you are going to achieve from this whole pursuit. You should factor in how this business will fit in with your personal life and other goals that you have. For example, there may be things in your life related to leisure and family that are very important to you. It is your responsibility to plan your business life around these other things. Owning your own business does not automatically mean that you have as much free time as possible. In fact, you may have more work and less free time when you run your own business. You are going to want to think about the location of your business. Some places are well trafficked, and others are not. There are some instances in which smaller shops get overrun by larger and/or cheaper stores that are nearby. You are going to have to look into various locations to see which is best for you. When you’re starting your own local shop, you want to be as successful as possible. Follow the tips above to help you get started and achieve your entrepreneurial dream.